For this hotel, staff must be in constant communication with one another to coordinate guest requests and provide excellent customer experiences. The venue is part of a major hotel chain, where staff work around the clock to accommodate hotel guests and conference center attendees. to keep staff in contact, but the radios routinely lost connection, causing user frustration and delays in productivity. Inferior radio quality also meant poor audio quality, making messages hard to hear and leading to staff mistakes. Guest requests for fresh towels or food orders were often lost or incorrect. This led to backlogged guest requests and created poor customer experiences. Some departments had special requirements. The transportation team, for example, needed to stay in touch with the property while doing off-site work, including city-wide driving for guest transport, supplies, and catering tasks. As a result, traditional two-way radios wouldn’t work without a costly investment in complex radio infrastructure to provide the coverage they needed. Further, Marriott Buckhead management needed better location tracking. A radio-based solution still wouldn’t have helped management to locate drivers quickly. Managers tried unsuccessfully to work around these radio limitations with phone calls and even using staff members as in-person messengers. These methods were neither timely nor cost-effective, so the lead technology buyer at Marriott Buckhead Atlanta researched alternative tools and found the ideal fit with Orion. 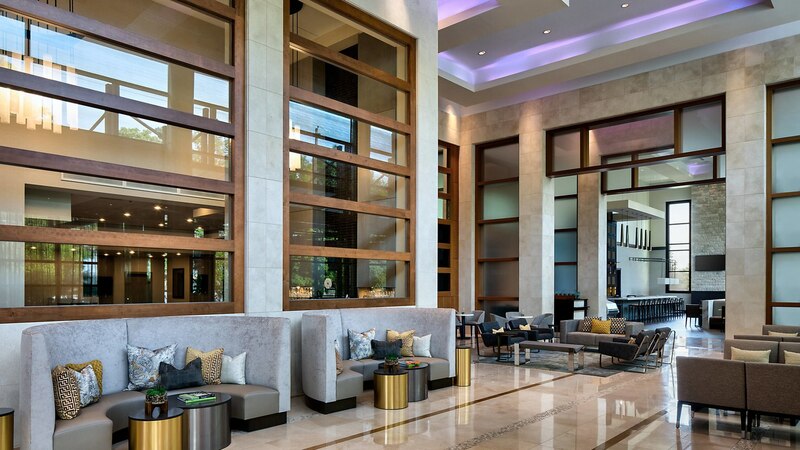 Marriott Buckhead Atlanta staff began using Kyocera DuraForce PRO devices running the Orion Push to Talk app to connect its 50 staff members and facilitate communication across the hotel property and surrounding city area. The DuraForce PRO was selected for its built-in rugged durability and large dedicated push-to-talk (PTT) button, powerful battery, and accessory support – all in standard phone size. Employees who frequently talked to guests use low-profile earpieces so that they can keep their Kyocera devices discreetly hidden in a jacket or pants pocket. For employees who work only at the hotel and conference center, Marriott Buckhead Atlanta was able to keep costs down by using their existing Wi-Fi infrastructure. Other team members who need to be off-site, like drivers, use cellular-enabled devices with the Orion app so they can stay connected anywhere in the city. Further, the Orion app utilizes GPS to allow team members to locate drivers and other staff quickly. 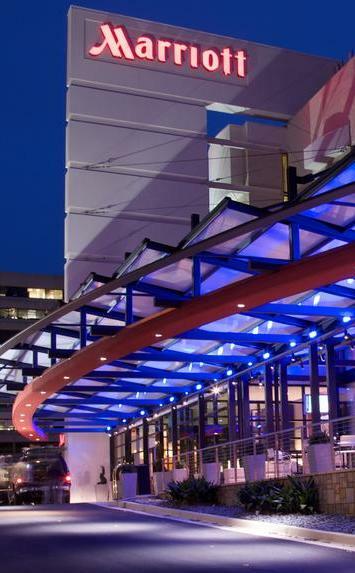 By choosing Orion, the Marriott Buckhead Atlanta reaped significant financial savings: upgrading their two-way radios and adding repeaters would have cost at least $500 per user, in addition to the expense of an FCC license. Instead, management was able to offer smartphones running Orion Push to Talk to every staff member at a fraction of the cost of upgrading the radio system. Immediately after switching to Orion Push to Talk, the staff noted massive improvements in audio quality and effective range. Messages transmitted through the Orion platform come through clearly, which helped eliminate frustration and repeated requests for help. Orion’s excellent audio quality easily surpassed the unreliable radios the team had been using previously. With Orion’s built-in location services, team members instantly see one another’s real-time locations, without having to ask and interrupt their day. Managers can also track their teams to make sure they’re on top of their tasks. For the hotel, the benefits of adopting Orion were immediately apparent. The improvements in audio quality and range, as well as the cost savings, proved why Orion was the best solution for their needs. Marriott Buckhead Atlanta is a luxury hospitality property in the southeastern US, with a ten-story hotel with conference center. The property is part of the portfolio of Atrium Hospitality, a hotel and asset management company that oversees hotels for major hospitality brands.